Excellent quality for this late 17th century Bolen School, Jesus and Saint John the Baptist fighting for a bouquet of flowers. 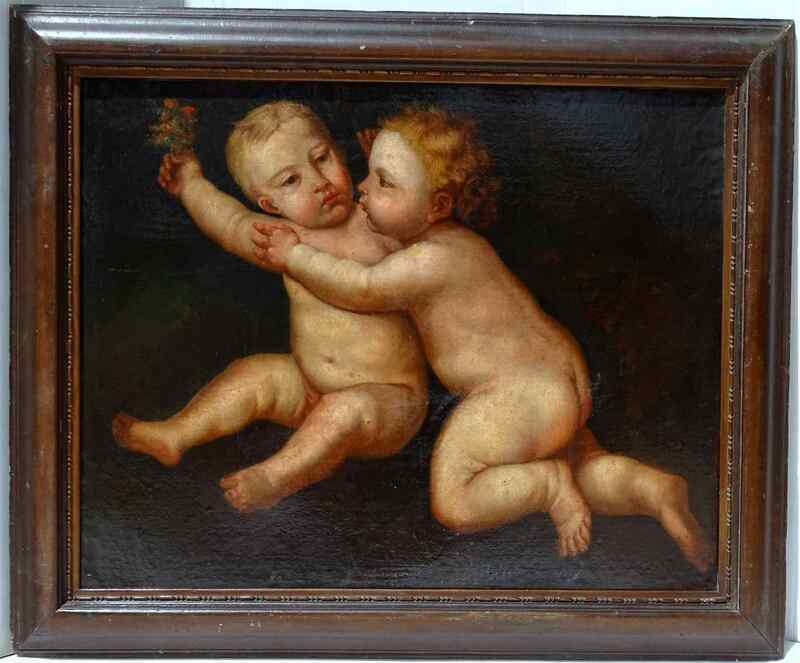 On its original frame and its period frame in natural wood, very decorative and in very good condition for this period, customary restorations. Important dimensions: 105 x 90 cm framed, 89 x 70 cm Canvas. Very neat expedition accompanied by a Certificate of Authenticity and an Invoice. Participation in shipping costs for France: 150 €. For other countries: please ask for a quotation.